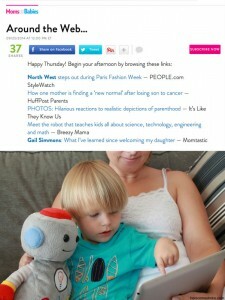 Congratulations to our Client TROBO for their feature on Breezy Mama and subsequent link on People.com’s Moms & Babies. TROBO also offers an avatar builder where parents can design an avatar of their child and put them in the stories with TROBO. Coupled with the app for an iPad or iPhone, kids can be a character in each educational story!Â All of the stories are presented in a playful storybook format and include an interactive puzzle element every few pages to keep the kids engaged. The coolest part of TROBO is that the plush toy talks! TROBO can read the stories to the child before the child can read on their own.Â It opens up science and engineering from an earlier age, so they can be amazed at all of the incredible things happening around them and fall in love with learning. The TROBO plush is soft enough for the child to sleep with and is machine washable. Check them out atÂ herecomestrobo.com!